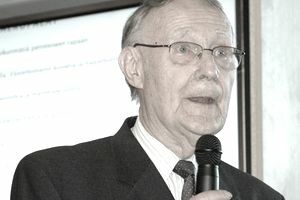 IKEA is well known worldwide for its distinct furniture and home products, and the company's founder Ingvar Kamprad is well known for his distinct ideas about retailing and the management of his business. While most retail executives seem to be obsessed with proving that their own retail brand and retail chain is the best in the world, Kamprad seems to reject the idea of "best" for IKEA, focusing instead on the constant quest for continuous improvement and best practices. We discuss too much, for example. And, in doing so, we lose touch with reality. We have fantastic people who work for us, but even managers are incapable of making even the smallest decisions. It’s the directors who are IKEA's big problem. The temples of design in places like Milan or God knows where overflow with beautiful, original furniture that costs extortionate amounts of money. The vast majority of people don’t have six-figure amounts in the bank and don’t live in enormous apartments…it is for just such people that I created IKEA. For everybody who wants a comfortable house in which to live well. A need that crosses all countries, races, and religions. The IKEA spirit is a strong and living reality. Simplicity in our behavior gives us strength. Simplicity and humbleness characterize us in our relations with each other, with our suppliers, and with our customers. If you want to maximize results, it’s not enough to simply preach—you have to set a good example. I am very proud to follow the rules of our company. Time is your most important resource. You can do so much in 10 minutes. Ten minutes once gone is gone for good. Making mistakes is the privilege of the active. It is always the mediocre people who are negative, who spend their time proving that they were not wrong."